Hope you know that 9lessons blog is power by google blogger platform and I am not paying any hosting changers from last 4 years. I strongly suggest blogger is the perfect platform for blogging (present your ideas), but you have to do few coding changes for better results. My first success was I did customized blogger template completely, so take a look at this post and implement for great results. If you notice I am displaying a top banner(Wall Script) advertisement on Article Pages. You want to display specific items on Article Page, use the following condition. If you want to display any specific thing on Home page, use following code. You can add different sections with unique ID attribute name on sidebar part. You can find out those sections in Layouts part. While clicking on Add a Gadget you will find a popup contains following widgets and then add widgets to sections part. For better search results you need to modify <title> part with following code snippet. This code helps to include article title as a page title. Replace data:post.title part with following code. Blogger is allowing maximum three adsense advertisements inside article part, use the following code about the <data:post.body/> part. Go to Layout part click Blog Post edit and modify your ads. 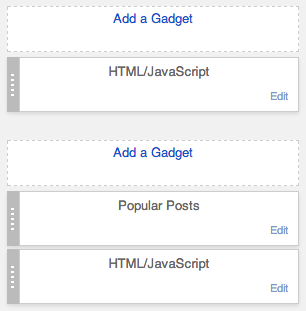 Generate social buttons code using specific develop tools and prefix expr: for hyper links. Include following support JS files within the tag HEAD or about the </BODY> end tag. Just include the following code in CSS to hide default blogger navbar. If you have any queries related to blogger, please comment here. Woow awesome blogpost! I think the power of blogger is underestimated a lot, bit thuis really opened my eyes fort blogger! Wonderful Tips :) I'm Little confused About 'data:post.title' How to Do This? you are the role model for bloggers! Any idea about how to achieve caching in blogger? Is there a demo where can see the design/layout and how it looks ? First of all thanks alot to have such awesome articles on this website... Hats off to you guys. I am a CSS designer, I am searching for custom wordpress template design tutorials step by step as we design in CSS. I hope you guys are really gonna help me out. I was just blown out after reading this post cos i have been paying since many years. great writing, thank you!.Question, how to remove the blogger.com default header bar in the blog? @Sreevasthsa Removing Default header updated in tutorial. @Thalupula Sreenivas Blogger is providing custom domain setup, please check in settings. Thanks for this amazing and helpful blogpost template tutorial! Nice- but, Adsense into post is not working! Please help! Hey it's nice. It's something different from basic view of blogs and I like your blog theme. Thanks for sharing. Hi, the SEO part is very useful. But confused what exactly I need to add, means keywords or title of the blog. How to create Related posts widget ? I want to get ad sense on my blogs so what to do ..? Srinivas you are just awesome!! Thank you for this blogger tutorial..
To display Adsense using this code, you need to enable display ads in post from Dashboard>> earning tab. Bro thanks for this post. Thanks for awesome tutorial, will try it once definitely. 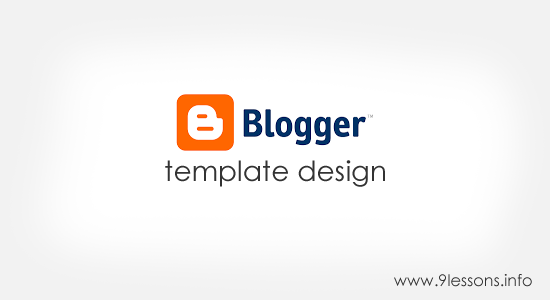 Wonderful and attractive collection of responsive blogger templates with uniqueness. Sir I am a very big fan of you. How you know these complex things. I also want to learn these. Inspired from you I also created a PHP login and register system. I shall be so glad sir if you check it out. Really a great aarticle. Thanks for sharing such informative article.